Stallion Boots are known for making one of the finest handmade cowboy boot collections in Texas, and Pinto Ranch is proud to offer these boots for sale since opening in 2004. We used to only carry select styles for ladies, but our inventory has now expanded to include extensive Stallion cowboy boot styles for men as well. As a result, Pinto Ranch is the largest Stallion boots retailer in the U.S. Throughout the year Pinto Ranch hosts Stallion Boots Trunk Shows where Pedro Muñoz, owner and designer, brings in the entire collection of fine handmade cowboy boots to all three store locations. 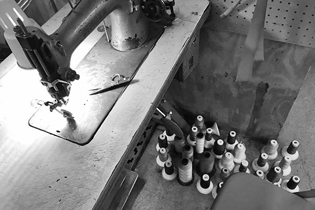 During the trunk show, customers have the opportunity to meet Pedro, browse our inventory, or have their foot traced by Pedro for a custom pair. Compliment your new Stallion cowboy boots with any of our cowboy hats for that true western style and pull the look together with a western belt buckle. For more information, read more about the history of Stallion boots and western wear. Pedro Muñoz’s passion for cowboy boots began during his childhood in Mexico when his grandfather bought him his first pair at 5 years-old. Years later Pedro’s father introduced him to his personal bootmaker, Mr. Martinez, so he could design his first pair of custom boots. It was then that Pedro became fascinated with the bootmaking process. In 1980 Pedro met Jose Gallegos and Plutarco Rodriguez in El Paso, Texas and with their combined skills and knowledge of the trade, the trio founded the Stallion Boot & Belt Co.
Thirty years later Stallion Boots is still committed to producing handmade cowboy boots at the highest standard. Stallion is one of the only bootmakers left to craft “benchmade” boots where only a few hands touch each boot. More than 140 steps go into creating a basic handmade boot and more than 200 when intricate patterns, inlays, and materials are involved. 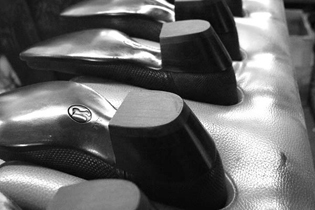 Because of this meticulous process and Pedro’s commitment to using exotic leathers hand-picked by him, his boots are distinguished by their quality. Stallion’s master artisans only produce about 70 pairs per week – they are works of wearable art. Stallion boots has even caught the eye of the high-end fashion world in Europe and the U.S. and has proudly strutted on the runways of Paris, Milan, and New York. Many celebrities such as Kevin Costner, Bob Dylan, Gene Simmons, Bruce Willis, Ralph Lauren, and Madonna, to name a few, are also wearing the Stallion brand. Learn more about the designer and go behind the scenes at the Stallion factory! To find the perfect fit you should always start with your shoe size. In any handmade boot, your heel should slip about a quarter of an inch, and your toe should be in the center of the toe box. 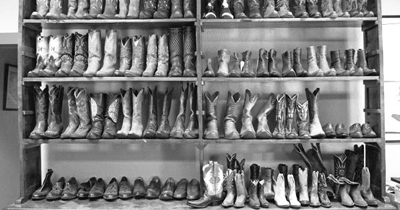 Our boot experts are always on hand at all Pinto Ranch locations to help you find the perfect fit. Call us toll-free at 800-393-8001 with any questions.